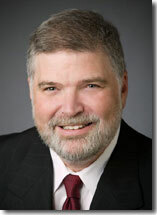 ACCL » Gibbs, Kenneth C.
Kenneth C. Gibbs, Esq. is one of the leading construction neutrals in the United States with an expertise in mediating and arbitrating construction, real estate, insurance, surety, and business disputes involving major commercial projects.He is well known for his ability to establish great rapport with clients and for his persistence in getting parties together. He gives his undivided attention to resolving each case, a requisite to resolving particularly complex, multiple party disputes.